Moses Kawaa hypnotized at the Savoy Theatre, 1911. Here are the astonishing haole showing their amazing feats at the Savoy. 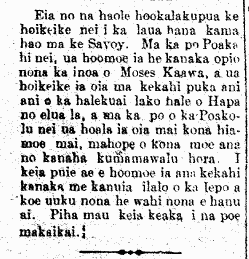 On the night of this past Monday, the young boy by the name of Moses Kaawa [Kawaa] was put to sleep, and he is on display in one of the windows of the furniture store of Hopp [Hapa] for two days, and on the night of this past Wednesday, he was awakened from his sleep after sleeping for forty-eight hours. This coming week, someone will be put to sleep and buried in the ground with some space for him to breathe. This theater is always filled with spectators! 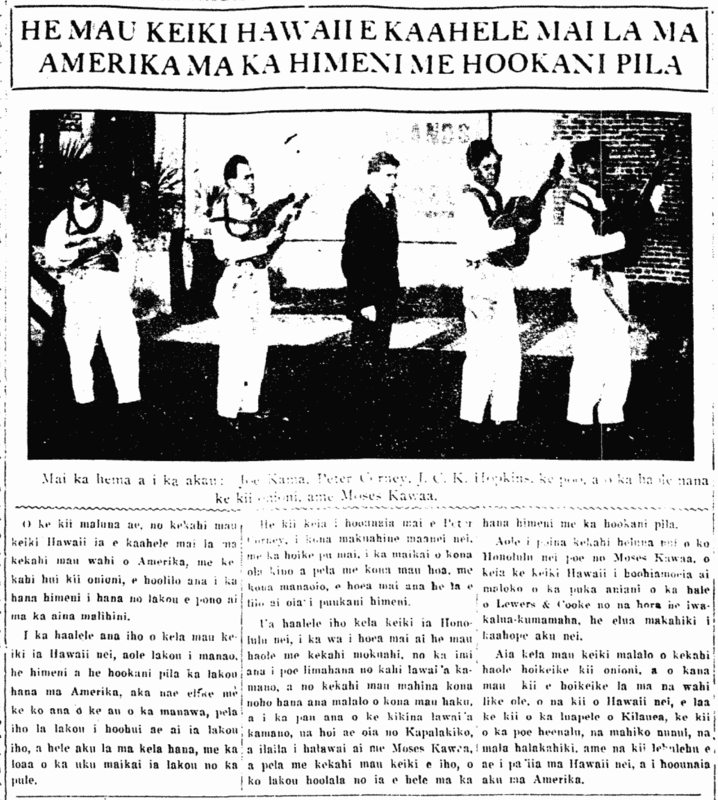 Ke Aloha Aina, Buke XVI, Helu 37, Aoao 4. Sepatemaba 16, 1911. Sleeping in a window front, 1911. 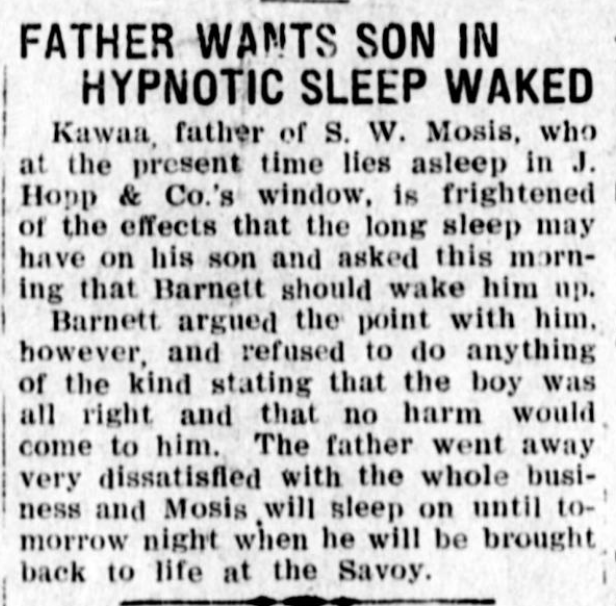 Kawaa, father of S. W. Mosis, who at the present time lies asleep in J. Hopp & Co.’s window, is frightened of the effects that the long sleep may have on his son and asked this morning that Barnett should wake him up. Barnett argued the point with him however, and refused to do anything of the kind stating that the boy was all right and that no harm would come to him. The father went away very dissatisfied with the whole business and Mosis will sleep on until tomorrow night when he will be brought back to life at the Savoy. Evening Bulletin, Number 5029, Page 6. September 12, 1911.